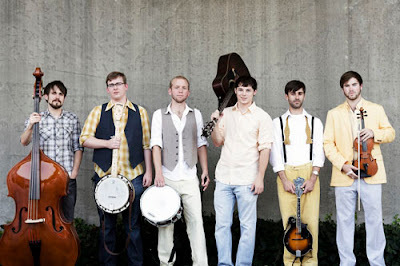 Georgia band Seven Handle Circus are incredible at their bluegrass covers of pop songs. We covered their version of Daft Punk's One More Time and now they've contributed to a whole Postal Service album of folk covers called Independent Clauses with Such Great Heights. This one, in my opinion, is better than the original.